The Google Doodle’s have become almost like a collector’s item in the past few years. Many sites talk about them whenever Google comes up with a new one. The creation process of a doodle is very interesting as well as you can see below in the video. The one that is most liked is the Google Birthday Doodle. You probably noticed that Google has been celebrating birthdays as well. To be more specific, Google celebrates your birthday! You get your own special doodle. 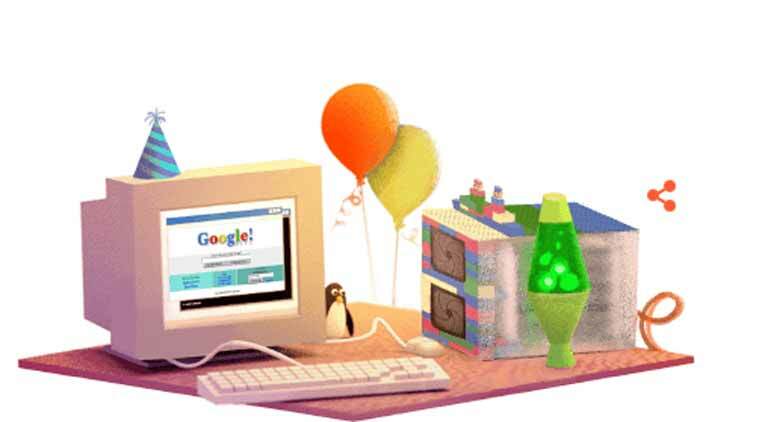 When the magical moment of your birthday has arrived and you go to the homepage of the search engine, you will find the Google logo looks like a birthday celebration! When hovering over the image with your mouse the text ‘Happy Birthday [Your first name]’ will show. When you normally click on the doodle you would be directed to a search about the topic of Google’s Doodle that day. When it’s your birthday, there’s no search query like with normal doodles, but in this case, your own profile on Google+ will open. How does Google know when to show your Google Birthday Doodle? How does Google know when to show you your own Google Birthday Doodle? It’s pretty simple actually. Google shows the birthday Doodle based on the date in your profile. Of course, the logo is only shown when you are logged in. This started in 2010 and recently Google renewed the logo I noticed today after opening the homepage, the new version has more cakes and firework than the previous version, both versions below. Is it your birthday? Happy birthday! Tweet this! 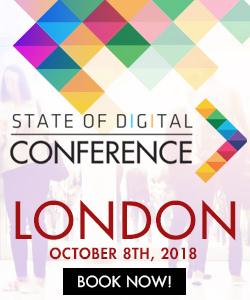 It’s my birthday and both Google and @stateofdigital know!! Want to know more about Google Doodles? Read more Google Doodles in these articles or look here. Aww! It Said, “Happy Birthday Abby!” I Was So Happy They Did That. THANK YOU! Hi Google. Thank you so… much for my Happy Birthday sign. It is hard to believe that I am 50; its been an awesome life with my family, thanks to God, Jesus, my mom, my son and my new husband. I ready for another 50 years!!! Yeah! That is sooooo awesome! I got mine today and felt millionaire status important…okay I know I’m the only recipient…but just for a split second I got my imaginary fame that went straight to my head….I was my one best star! I was finally important to the…ethernet. Loved it…loved it! Never stop doing this Google. Intrusive. At least the birthday card I got from JC Penney is worth $10.00. I was surprised with the personalized Google birthday doodle yesterday. I couldn’t figure out how it got there since I keep a pretty low profile on the web. I’ve never filled in my Google + profile and don’t recall adding my birthday anywhere. Maybe I had to do it at some point as evidence that I’m old enough to use certain sites. A little bit creepy. today is mine. thanks google for reminding me about my 20th! I just got mine today and loved it! Mine is today. I was shocked to see that! I had a doodle for my birthday today, the best surprise present ever. Thanks Google. Thanks to whoever had the original idea ! This is really amazing.. And a special gift for anyone. Hooray – Thx Google – today is my B-Day! Today is my birthday so I got mine today. Thanks Google. You’re awesome! Yes, thank you Google you made my day, you were the first one to wish me a Happy Birthday, Love you. how can i let google to celebrate my birthday? how did you share it ? Thank you so much Google i was really surprised with delight when i saw my doodle for my birthday on the 15th may 2015…..i love you Google Thank you……. Thank you very much Google! You help my sorrows faded! It’s my birthday today, but there’s no google doodle. This hasn’t been the case in the previous years. So, I’m truly disappointed. I’m honoured to see the cakes & candles & a special happy birthday note with my name. 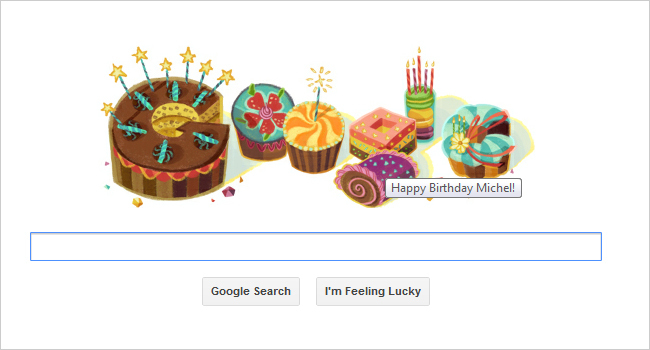 Thank you google for making me feel very special. God bless you. Dear Sir, Thank You Very Much for today’s doodle on google on occasion of Independent Day Of India ! I was beyond delighted to see my birthday google doodle. I have never felt so special. Many thanks! Although I didn’t think to screengrab mine from yesterday, I got the “cakes” doodle pic seen above. I got mine today, maybe you put in the wrong day? I was trying to get my birthday on Google Doodle too when it comes I love to celebrate my born day the anniversary of my birth growing up I have always celebrating my birthday love to celebrate it with Cake Ice Cream and Milk don’t be hating I need that though I like my birthday my bday go right then it’s Tday I turn up originally on October 27th after my birthday on October 26th I almost was born on October 27th cause my time of birth it took come out my mother womb was at 11:40pm a night time close to midnight to 12am very late but my thinks my birthday is on October 28th love it all myself Deonte celebrate my birthday and live my life my own life all everybody and including thinks that about everybody never close to knowing a person like myself birthday is but they can guess and I was born in 1991 the early 1990’s so I would be 26 years old this year in 2017 old generation and old long time century after the last decade of the early mid and late 1980s love it god bless above I feel bless love you lord my god we all not perfect but we set examples for ourselves if what we wanna achieve in life my plan god plan I worship and praise God with all my glory and blessings for a new day a peaceful morning in heaven we all will go one day. Not sure why people find this creepy. You’ve told them when your birthday is. You can change it if you want. I am with you on this one. Changing your birthday is a bit weird when you think of it like that. But I guess for a corporation it is a little different. Is the date of birth related to the day the idea was conceived, the date the business was incorporated, when the website went live, etc. I think this article I found on a college website does a good job explaining it https://fremont.edu/when-is-googles-birthday/ I believe that the date Google currently celebrate ties into a Google Doodle that was done. Also, I just have to say this. I love how Google does a Google Doodle for someones birthday. What a great idea!